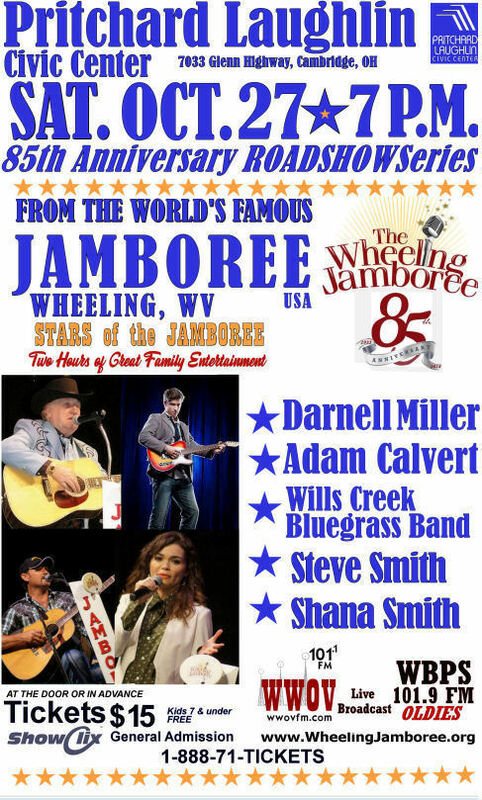 Join us as we take the entire production unit of the World Famous Wheeling Jamboree on the road. Over 2 hours of Enjoyable Family Entertainment for ALL AGEs with Stars of the Jamboree. Country Legend Darnell Miller, Shana Smith, Steve Smith, Adam Calvert, and special Guests Wills Creek Bluegrass Band.